Google CEO Sundar Pichai says he believes his company's artificial intelligence is smarter than Amazon's Alexa or Apple's Siri, but we're seeing only 1% of its potential. Google CEO Sundar Pichai says his company's artificial intelligence and machine learning efforts are ahead of the competition's, but there's still a long way to go before full potential is reached. "It's still early days for all of us," said Google CEO Sundar Pichai told Walt Mossberg on Wednesday at the Code Conference, where Pichai also discussed Android, messaging, and VR. However, Pichai expressed confidence that Google will be able to fend off the competition when it comes to Amazon and Apple. "We've been doing it for a lot longer," said Pichai. "So when you look at the scale at which we do it today -- either in terms of the raw computational power we apply to it, how many years we've been doing it, or if you benchmark it in terms of any quality metrics -- those are the areas the difference really shows through. People have been asking questions to Google for a long time." The search giant got its start way back in 1998. But Pichai isn't out to destroy Google's competitors. "[Those companies] are phenomenal companies. It's not like Game of Thrones. It's more like the NBA championship or something like that. I think of it more like we're all bringing electricity to Westeros. We're not trying to kill each other." What will set Google apart, says Pichai, is its ability to hold a conversation. Amazon's Alexa and Apple's Siri require prompts followed by commands or requests in a format the artificial intelligence can understand. The Google Assistant, an AI-based bot, can follow a thread from start to finish. "In the next five to ten years, building the true conversational understanding and being able to have the dialog [are] where we plan to differentiate. The hardware is just a manifestation of that. We want to help people get things done. There's a lot of work ahead. We're at the 1% stage of what we can do here," he said. Amazon and Apple have access to years' worth of data, too, but have so far not cracked the conversational code, so to speak. Pichai also discussed his view of the Android smartphone market. Mossberg asked Pichai to comment on Samsung's position as the only company making a profit from Android devices. "I've always felt Samsung is important for Android," responded Pichai. "They drive the high end of computing on the Android side. But Android is a very open ecosystem. The answer may not be a global one player. We've had many examples of regional players serve the needs of those markets. Android is an enabler. It's a very complicated marketplace." A good example of regional players would be Xiaomi and Meizu in China or Lava and Micromax in India. Consumers in these countries prefer to buy from local companies. That said, it's a shame multinationals such as HTC, Huawei, Lenovo, LG, Sony, ZTE, and others aren't making any money from their devices. Speaking of OEMs, Google says it plans to continue its current strategy with respect to the Nexus line of hardware, but some changes are in store. "You'll see us put a lot more thought into our Nexus devices going forward," noted Pichai. "And there are categories beyond phones, like Home. You'll see us thoughtfully add more features on top of Android. We could be more opinionated as to the design of the phone. Our plan is to still work with [outside phone makers]." In other words, Google isn't ready to manufacture its own smartphones just yet, outside of its Project Ara. 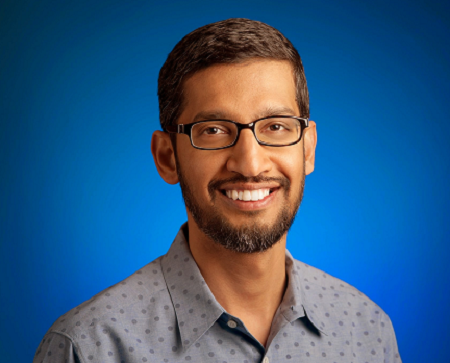 A video of Pichai's full interview is available here. I find it interesting that the examples of competing technologies that were selected were Siri and Alexa, which to my mind are consumer-oriented toys (I realize that may be an unfair characterization, but there it is).